From July 21st to August 8th, Vik Muniz and his team will be in Squamish working with First Nations groups and the local community to create a grand-scale land mosaic that incorporates local natural materials and imagery into a portrait of a Squamish resident so large that it must be viewed from an elevated platform. 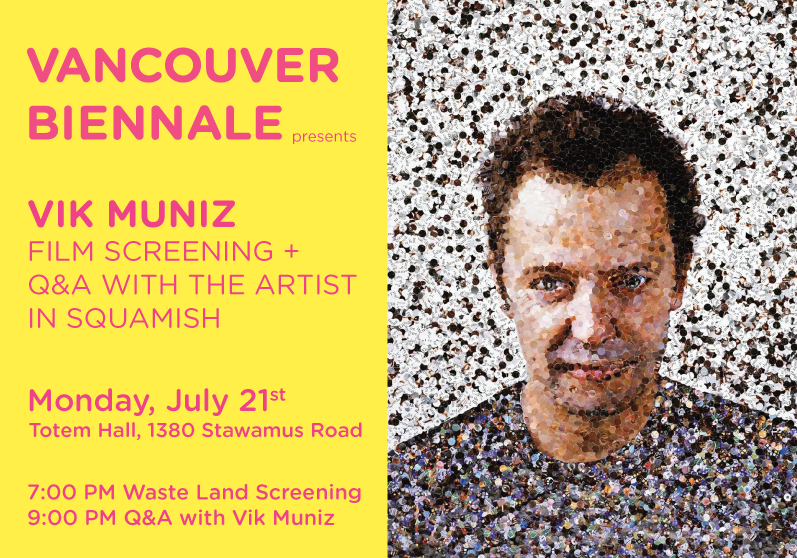 In celebration of his Vancouver Biennale project, join us on Monday, July 21 for a screening of the Academy-Award nominated Waste Land featuring Vik Muniz. See how Muniz transforms unconventional materials into art and participate in a rare chance to join him in conversation! Be a part of Vik Muniz's Squamish Project!